The CTA Blue Line is a fast, inexpensive way to get downtown, where your hotel is probably located. You won't get dropped off right at your hotel, but as long as you don't have a ton of luggage, you can probably walk from the closest El stop to your hotel in minutes. O'Hare is pretty huge, so you might have to walk a fair amount. You probably need the steps. The best way to pay for CTA rides, hands down, is by using contactless payment on your phone (Apple Pay, Samsung Pay, or Android Pay). Just tap your phone on the reader at the turnstile the way you normally would at a store, wait for the ding, and proceed. If you don't have one of these options, you can purchase a Ventra card at one of the kiosks at the station. Use your credit card to preload some money on the card. Train rides are $2.50, but you should put at least $5 on there just in case you need to change trains. You can always reload later. 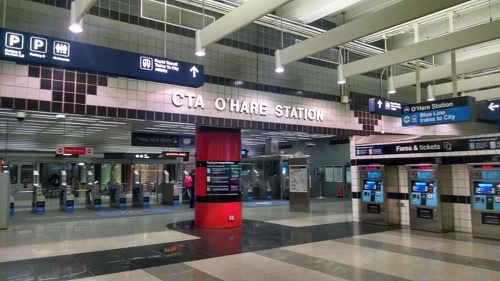 The train only goes one direction from O'Hare, so just board the next train leaving the station. While you're on the train, use Google Maps' transit feature to figure out where to get off the train, and where to go after you get off. Depending on the precise location of your hotel, you'll either be changing trains, or leaving the station and walking your hotel. It should be fairly straightforward. Or it could be an adventure. This is where our advice ends. Follow the signs, trust your device, or your deity of choice, or even just (gasp!) ask somebody for help - Chicagoans are mostly friendly once they know you're not a threat. Worst case scenario, you can stick your hand in the air, get in a taxi, and tell them the name of your hotel. You'll get there. Rideshare is definitely the most convenient way to get to your hotel. It has its downsides as well (you might sit in traffic, and it'll cost more than public transit), but it's a lot better than waiting in the Taxi line, which is terrible at O'Hare for half a dozen reasons. 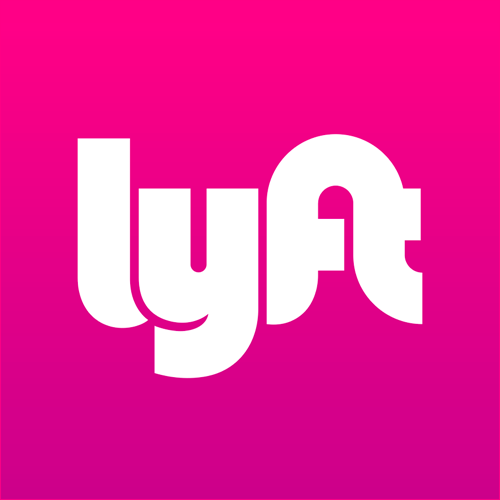 Lyft is better than Uber, at least in Chicago. The drivers are happier, and they seem to be more knowledgeable than Uber drivers. There's a designated rideshare pickup spot on the departures (YES, DEPARTURES) level, between Terminals 1 and 2. It's easy to misunderstand the signage for this, and the location is counterintuitive. If you're at baggage claim, you need to go up a level. If you're confused, ask somebody who works at the airport and they will know exactly where to point you.